The »mini« series really shines with a mass reduced by as much as 30 %, and a chuck diameter that is reduced by 1/3. This means reduced energy consumption and better tool accessibility. Naturally, add on clamping elements can also be used with the TOPlus mini chuck. 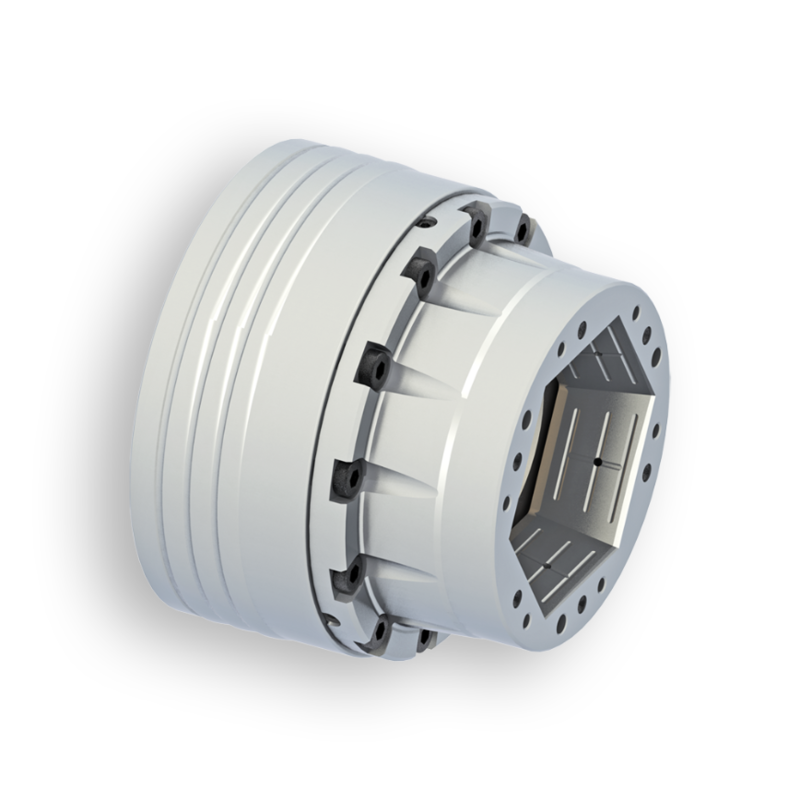 To maintain the minimal interference contour, the TOPlus mini chuck has its own adaptation devices with a smaller bolt hole circle. Thanks to the reduced interference contour, it is easier to choose the tool that you need. Now it can also be shorter and more stable – on the main and sub spindles. Particularly in the case of limited installation space and in series operation, the TOPlus mini chuck is ideal: Lower energy consumption, dynamic spindle acceleration, and shorter cycle times reduce the costs per workpiece.